You all know how much we love discovering new authors here at The Romance Dish. When I received a copy of To Scotland with Love to review, I wasn't familiar with the author but was intrigued by both the cover and premise of the book. 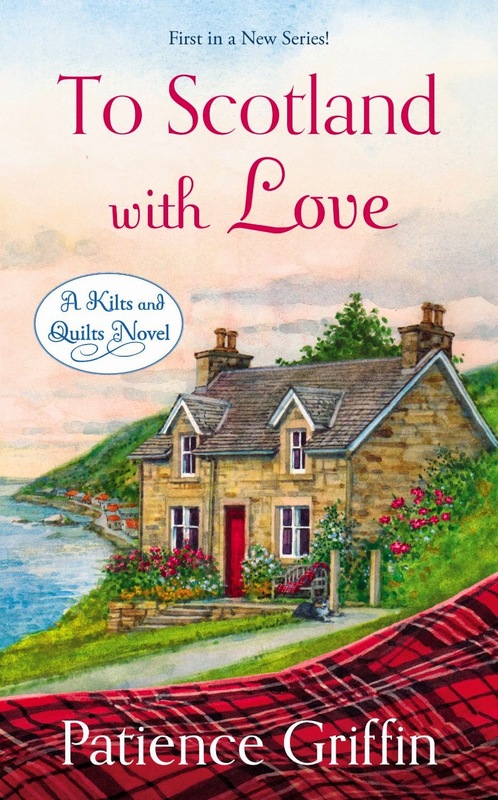 It was only after reading the book that I discovered that To Scotland with Love is Patience Griffin's romance debut. I would not have guessed it. She writes with the expertise of a seasoned veteran and created a story - and characters - that captured my heart. As soon as I finished the book, I knew I wanted to introduce her to our TRD readers so I sent an e-mail to her publicist and asked if she'd be willing to do a Q&A. I'm delighted that she agreed! If you're looking for a story that will touch every emotion, hold you captive from beginning to end and leave you deeply satisfied when you turn the final page then I highly recommend you add To Scotland with Love to your summer reading list. For more information about Patience, visit her website, like her Facebook page and follow her at Twitter and Pinterest. · Welcome, Patience! We are delighted to have you visit with us today. Congratulations on your debut book, TO SCOTLAND WITH LOVE. Please share with our readers what they can expect from this book and from the Kilts and Quilts series. I love books that are smart, funny, and full of heart. And because this is what I want from a good read, I strive to achieve it in my own books. 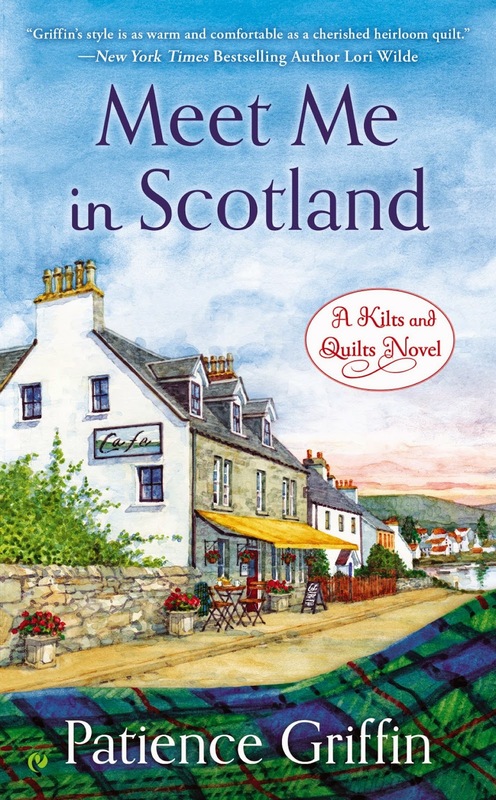 The Kilts and Quilts series is set in small town Scotland and readers can expect to see more of the same community, along with their antics and trials. Of course, the quilters are the heart of the town, so expect to see more of what they can cook up. I used to commute 3 ½ hours a day for work and became addicted to audiobooks. After work I couldn’t wait to get in the car and get back in the story. I found myself gravitating toward love stories because they made the trip much more pleasant. Soon I started reading every romance I could find, particularly anything that had to do with Scotland. One day I turned to my husband and said, “I think I can do this.” He said, “Of course you can.” I’ve been a writer my whole life, letters mostly, and knew that one day I would write a book. But I always assumed it would be non-fiction. Now, I can’t imagine writing anything other than what I’m doing. I agree with your husband. You can do this! The hero of TO SCOTLAND WITH LOVE is a movie star and I admit to having Gerard Butler in my mind as I read the story. Did you have a real-life inspiration for the character? Oh, you are brilliant! Yes, Gerard Butler’s picture is taped to the side of my bookshelf that is facing my writing chair (I write in a recliner with my laptop). All I had to do for inspiration while writing To Scotland with Love was to look up and see him. Which picture of Gerard Butler? One from Timeline—the first movie I saw him in and fell in love with…his acting. Your description of village life along the Scottish coast was so vivid that I felt as if I lived there right along with the characters. Have you ever visited the area in which your story is set? Did you have a particular reason for choosing that location for the Kilts and Quilts books? I have never visited that area, but I grew up in a small town along the Mississippi River. I know what it’s like to have water nearby and for it to be a significant part of the community. While researching, I found several beautiful little towns along the coast of Scotland that really spoke to me and that is how Gandiegow was born. Quilting plays a significant role in this book and I understand that you are well known for a quilt you made. Will you tell our readers about your September 11th Story Quilt? I was home from work with my youngest child when the Twin Towers came down and was devastated along with the rest of the country. To try to make sense of the tragedy, I made a story quilt of the events of the day. When it was completed, I wasn’t sure what to do with it. I spoke with the owner of Iowa Star Quilts, Cynthia Stary Drajna, and she suggested that I donate it to the Pentagon. You can’t imagine my shock when I called the Pentagon, told them I had a quilt to donate, and they said, “Yes, let me connect you with the person who oversees the quilts.” I wasn’t the only one who had used quilting as therapy to get through those early days. The quilt went on tour across the country as the property of the Pentagon. The woman in charge would send me pictures of servicemen and servicewoman hanging the quilts in their location—presidential libraries, big quilt shows, etc. My family was invited to come to Washington D.C. and tour the Pentagon when few others could get in. We got to see my quilt hanging in the Ronald Reagan Building and International Trade Center while we were there. For many years, I lost track of the quilt. This last fall, while posting my quilts to Facebook, I came across a picture of the September 11th Story Quilt. I took a chance and made another call to the Pentagon. They immediately connected me to the right person. She said she thought it was hanging in the building and I was shocked. An hour later, I received a confirmation email along with pictures that it was indeed along the tour route and had been there for several years. I’m sure at some point, it will be packed away, but it makes me smile that so many people have been able to enjoy a quilt that gave me comfort to make. Thank you so much for sharing your quilt story. I have the feeling it brought many people smiles and comfort on its journey. I have a masters degree in nuclear engineering. Yep, I’m a nerdy girl to the core. I thoroughly enjoyed TO SCOTLAND WITH LOVE and encourage readers (again) to put it on their summer reading list. What books would be on your reading list this summer? I’m so glad you enjoyed To Scotland with Love. I’m smiling here! My to-read pile is piling up. The next book on my list is Paw Enforcement by Diane Kelly. That book has the cutest cover—a German shepherd wearing a police hat—and I’m excited about this new series. I have preordered Janet Chapman’s The Highlander Next Door; August can’t get here soon enough. I also have purchased Jodi Thomas’s Harmony novels. I’m new to Jodi Thomas (I know…where have I been?) I read the most recent Harmony novel first, Betting the Rainbow, and had to order the others immediately. For my road trips, I have Grace Burrowes’s MacGregor Trilogy in audiobook. Yes, I’ve listened to them before and read the books, but I love them enough to listen to them again. You have some terrific reading on the horizon! I need to check out Paw Enforcement. Sounds like it's right up my alley. When can we expect another book in the Kilts and Quilts series? Meet Me in Scotland is the second book in the Kilts and Quilts series and will be available January 6, 2015. Can I say that it’s up for pre-order now? The cover is gorgeous, drawn by Deborah Chabrian. I think she’s brilliant! Am I the luckiest writer ever or what? That's a beautiful cover! Readers, click on the book title above for more information and to pre-order Meet Me in Scotland. Thank you for visiting with us today, Patience. It's been a pleasure getting to know you. Would you like to ask our readers a question? Being creative helps me to relax; it’s one of my escapes besides reading. I like to keep a quilting project by my sewing machine at all times to unwind by stitching together a block or two. To escape your daily life, do you submerge yourself in books, television, people, a hobby, or shopping? How do you achieve that cathartic experience? Everything to love about this series & the covers are just sweet. Mary, I'm thrilled with the book covers and glad you like them, too. Have a great day! Congratulations to Patience on her debut novel! Reading is my reward when I need a break from daily stresses. PJ, enjoy your little debut! Give him extra hugs! loved the story line.And I must say I tried quilting once but I did not enjoy it much.So much but I have great respect to those who enjoy it.Good luck in your writteing I enjoyed it greatly. Peggy, about quilting...I think we each have our passions. I tried counted cross-stitch once and thought I would lose my mind before I finished that 4X4 block. It was not my cup of tea. And I so wanted to love counted cross-stitch because it's beautiful. So I embroider instead and quilt. Thanks for the good wishes! So happy for you, Patience, on your debut novel. It sounds so good and I'm really wanting to read it. The cover picture is just beautiful. After seeing that, who wouldn't want to visit Scotland? Please thank your husband for encouraging you to write your novel. I do believe he should give lessons to other husbands of budding authors. Faith and encouragement of one another are such important factors in a successful marriage. Connie, thank you so much for the well-wishes. Yes, indeed, my husband has been amazing to support me in my writing. Do I dare tell you how many years I've been seriously pursuing this career? Oh, why not, it's just between friends, right? It took me ten years to get an agent and another year after that to sell. My hubby was quite pleased to take TO SCOTLAND WITH LOVE to work and set it on his desk. Cheryl, I get puzzled looks quite a bit when people find out that I have two engineering degrees and that I'm a writer. (My undergrad is in Electrical Engineering.) What I really love about writing is that I'm never bored...Never! Writing is very challenging and that's what intrigues me and keeps me engaged. Plus, I can give voice to what's in my head. And I'm having the time of my life doing it! Congratulations on your debut! To escape everyday life, I read and garden, so the flowers on the covers really draw me in and want to ready your books. My daughter is huge into gardening and I would love to be more like her. A few years ago, I decided to have a big garden so I could can tomatoes like I did when we lived in Missouri and Iowa. I started 50 tomato plants (crazy) and had to give a bunch away. I planted them in our raised garden plot. But I forgot one thing...we live in Texas and have little shade. 100 degree weather hit quickly and I didn't get one tomato. We cleaned out the fried tomato plants and put them in the compost. The next year, I had tomatoes from the garden all summer. I admire people who are successful at gardening. As you can see, it's hit or miss with me. Congratulations on this delightful debut. Wonderful. I would enjoy this beauty. I am captivated with your post and this series. Best wishes. How talented and creative. Hi, Becky, it's nice to see you hear. I hope you're having a great day! It sounds wonderful and PJ is right the cover is gorgeous. I have never read a bad book with a great cover, so covers are something that really draw me in. Sharlene, covers draw me in too. If there is plaid on the cover of a book, I'm like a dog that's seen a bone. I have to have it. The one constant in my life has always been reading from the time I learned how. I do have other interests, but reading makes me forget everything else! And I love anything having to do with Scotland for some reason lol. I'm the same way about Scotland, especially the books. They carry me away. Congratulations on your debut, Patience! I think it is wonderful that your husband was the catalyst for your book. It's wonderful that he is so supportive. I worked for an engineering firm for 23 years and really enjoyed it -- not an engineer, but a secretary. I like to read, be with friends and family, play with my dog, and be on my compputer for relaxation. Congratulations, PJ, on your new grandnephew! Thanks, Cathy. My PhD hubby is an engineer, too, and my hero-in-residence. Twenty-three years with engineers? I've only been with mine twenty. First...one can never have enough bookshelves! Don't you agree? I started "Paw Enforcement" before bed last night. The beginning hooked me in immediately. Diane Kelly is a hoot! Thanks for the well wishes. Have a wonderful day! Thanks PJ, another winning new author ....although I admit to hearing about her from Grace Burrowes I believe. I will download and am excited to read! The entire premise and the characters sound awesome....thanks! And it does help that my daughter is Caitlin and we use the shorter Cate but when she was little, I tried Cait and the teachers simply massacred it. So we went with Cate. That is my little tid bit for today LOL. Looking very forward to your novel! Grace Burrowes has been lovely to me and supportive of my work from the beginning. I adore her books; and as you can probably guess, the MacGregor series is near and dear to my heart. 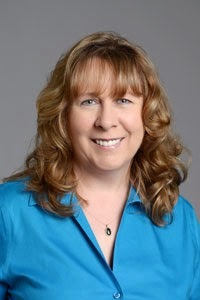 I think she is an amazing author. Grace, Sara Humphreys, and I will be putting out an anthology of contemporary Scottish stories set in the Highlands. I feel so honored to be asked to participate in this project. About Cait...I've been asked how to pronounce it too. I have the pronunciation at the beginning of the book just for that purpose. But I love the "Cate" spelling. Congratulations on your debut novel. Was there a steep learning curve when you began to write or did your ideas and dialogue simply flow onto the page? When I first started writing, I was obsessed. The ideas came like crazy--dialogue hit me in the shower, I'd wake up in the night and have to write things down. The ideas flowed. But the reality was that even though I had a lot of ideas, I had a lot to learn too. There was much more to the writing craft than I ever imagined. So I'm on this path, learning new stuff all the time. I think that's why I like writing so much. Hmmm, maybe I'm just fond of Hugh Grant. I enjoy movies but most of the time I go with books. I have to read every night before I go to bed. It relaxes me and lets me leave the real world for a change. Love the cover of this book. Hi, fellow quilter. I'm a night reader also. But more times than I should, I get lost in the story and stay up way too late. I hope this never happens to you! So glad you love the cover...I'm exceedingly happy with it! I'm home! Patience, thank you so much for visiting with us today. I apologize for my protracted absence but I was at the hospital longer than I had anticipated. It wasn't easy to walk away from that precious little boy! I'll be sure to stop by your Facebook party tonight. Thanks for posting the link! PJ, wasn't that a hoot tonight? Crazy. I couldn't keep up. I'm still reading posts. And people are still commenting, too. I'm so glad you were there and especially happy that you liked my book! Thanks for letting me be part of The Romance Dish's fun today! I love connecting with readers! Love the sound of this book! I don't read many contemps, but the premise and PJ' s recommendation have put it on my TBR pile. Congrats on the new series, Patience! I love the covers, very homey and inviting, and captures village life in Scotland. Here's another confession...I'm doing a lot of those today. It used to be that I only read historicals. Oh, how I love them. The language and how there seems to be rules in the dating arena. But I have a very contemporary writing voice. What's funny is that I love reading contemporaries now that I write it. Go figure. I didn't see it coming either. Congrats to Patience on the new release/debut :) This sounds fantastic! Thanks for sharing :) Wow... what a rush to know that something that you made is a part of history. I have such tremendous admiration for anyone who can craft... art, books, quilts! Thanks, Erin, for the well wishes. Thanks so much for stopping by. Congrats on your debut book, Patience! I've heard great things about it in several different places. I love the story of your Sept. 11th quilt and the covers of your books are so pretty. To escape I read, with a little TV in there too. Marcy, did you want to hear a confession? I love the TV show Deadliest Catch. It's one of my ways to wind down. Unfortunately, I've missed a big part of the season because I'm working on book 3...which about a fisherman! Patience Congrats on your successful Kilts and Quilts series. I knit but have never tried quilting. I love historical romances featuring Scotland. I will check into your contemporary TO SCOTLAND WITH LOVE. Thanks for sharing the background information. I always find it fascinating. I walk, swim, read, knit and babysit my grandchildren. I love to share my love of books with them. We have one grandbaby. I have stocked his library with our family favorites. To me, his books are much more important than toys. Oh, and I've made the little guy several quilts from his Nonna. I just love the sweet cover. Looking forward to reading this book--sounds great. Enjoyed reading the background information. Reading, of course, is my favorite escape. So nice to meet you here. I'm so glad you love the cover. I plan to get your new book tried to look at the one coming out in Jan but amazon doesn't list it under your name so will have to wait I guess Good luck with you r new book print if I win! !